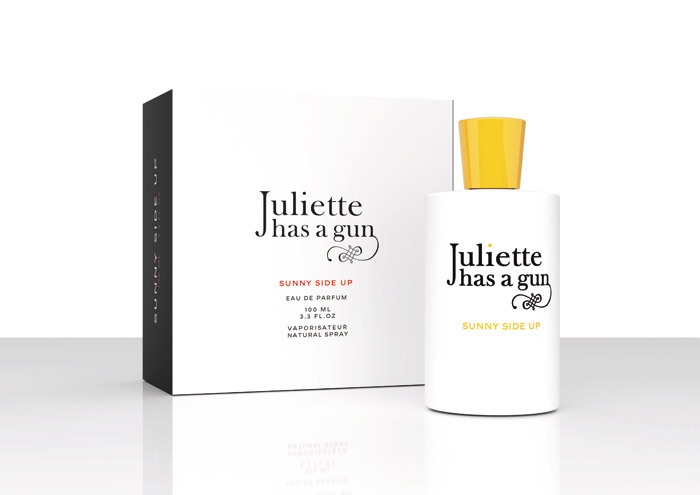 Romano Ricci, grandson of perfume legend Nina Ricci and founder of the Italian brand Juliette Has a Gun, has added a new offering to his arsenal: Sunny Side Up. The fragrance celebrates beach life, good vibes, and the color yellow. Illustrator Jamie Cullen created a series of playful images to accompany the launch. 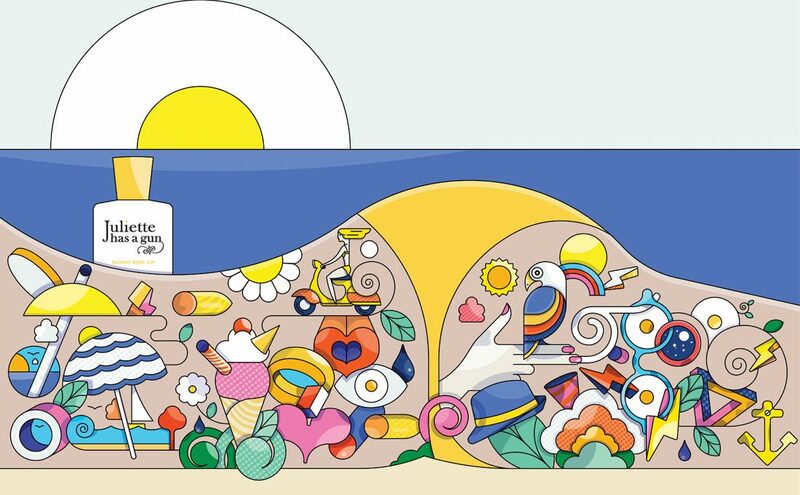 The Sunny Side Up attitude as seen by illustrator Jamie Cullen. Image: Juliette Has a Gun. 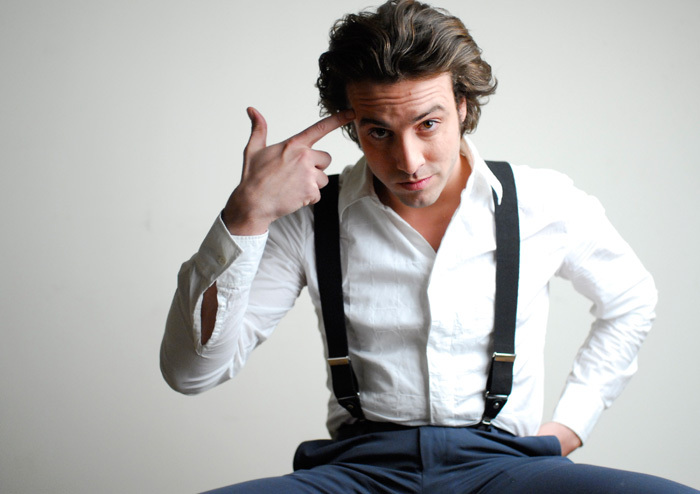 Romano Ricci, founder of Juliette Has a Gun. Photo via www.beautyscenario.com. With its warm sandalwood, salty undertones, and jasmine and coconut milk notes, Sunny Side Up indeed evokes memories of good times spent on sunny beaches. 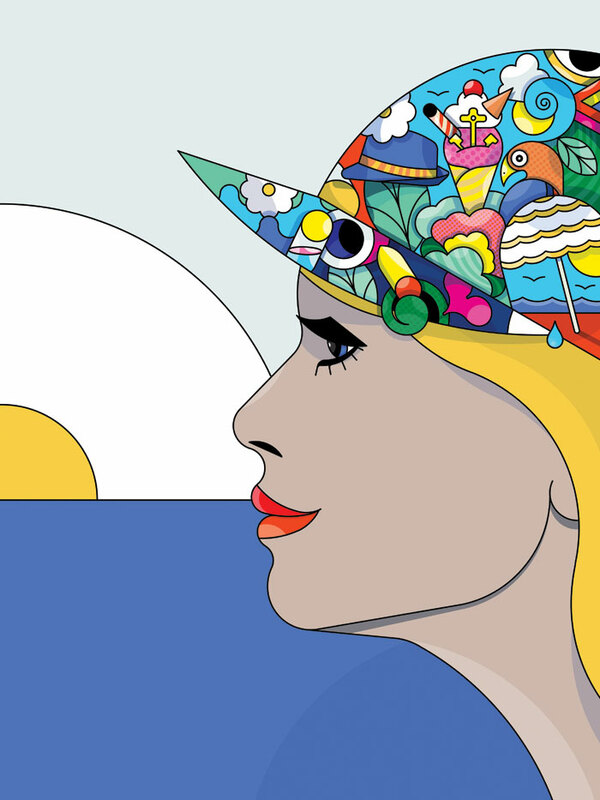 Salt water and sun lotion on tanned skin might very well have been the brief Ricci gave renowned artist Jamie Cullen to create a series of fanciful illustrations for the launch of the brand’s latest fragrance. Smell the Ipanema vibe! Illustration by Jamie Cullen. Image: Juliette has a Gun. Visualising the perfect summer day. Cullen chose seemingly innocent details and radiant objects only to turn them into something erotically charged. Think sunny side up eggs or the breasts of an Ipanema girl. This playful approach works perfectly for a fragrance that aims to put a smile on your face. Add this Sunny Side Up attitude to your beach bag and get going on your endless summer 2017. Summer is not over yet! To discover more inspiring scents for your endless summer, check out our SUMMER EscENTIALS 2017, 2016 and 2015!